The Hospitium in York is something of a hidden gem! It is situated in the grounds of the Yorkshire Museum, just a stones throw from the Minster and overlooked by the ruins of St Mary's Abbey. 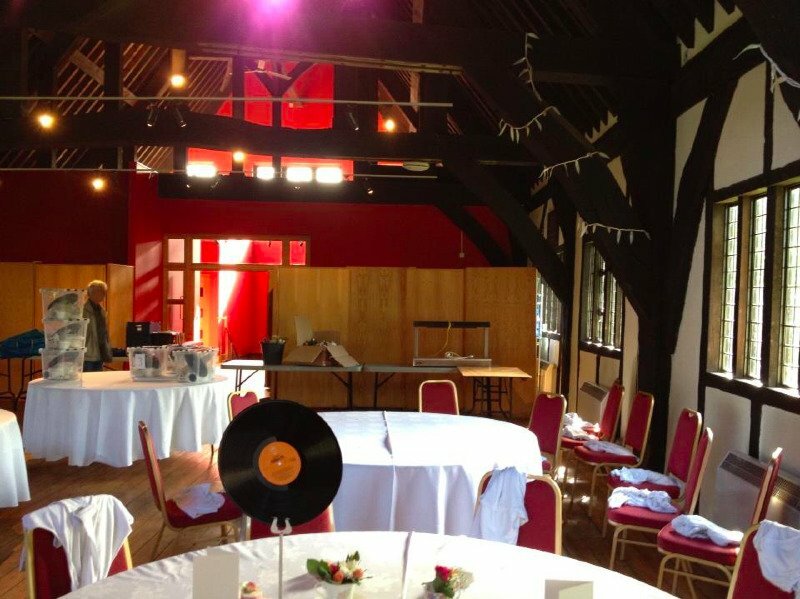 The building dates from the 14th Century, and is listed building, with the added benefit of holding a license for civil ceremonies. 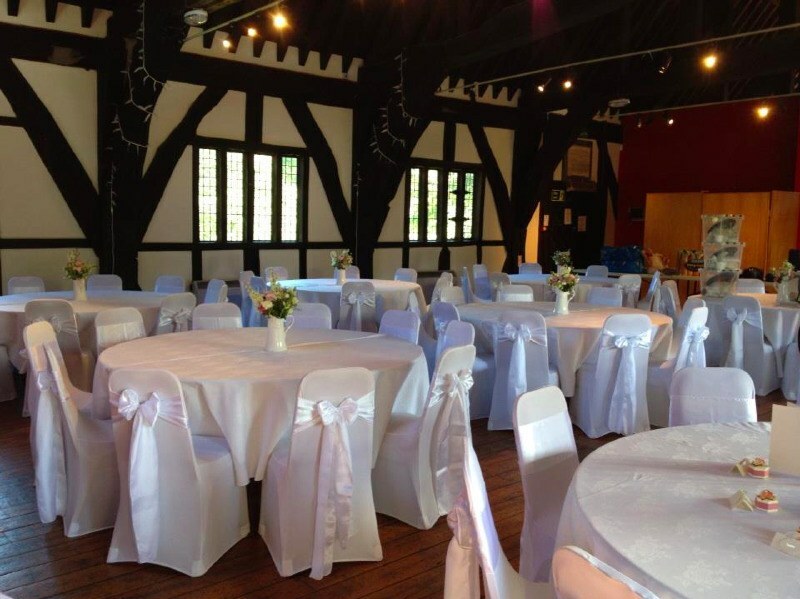 For this wedding we provided our white stretch chair covers, white satin sashes and a white satin top table swag. The wedding had a vintage theme with lots of gorgeous bunting and the most beautiful flowers by Fleur Adamo. 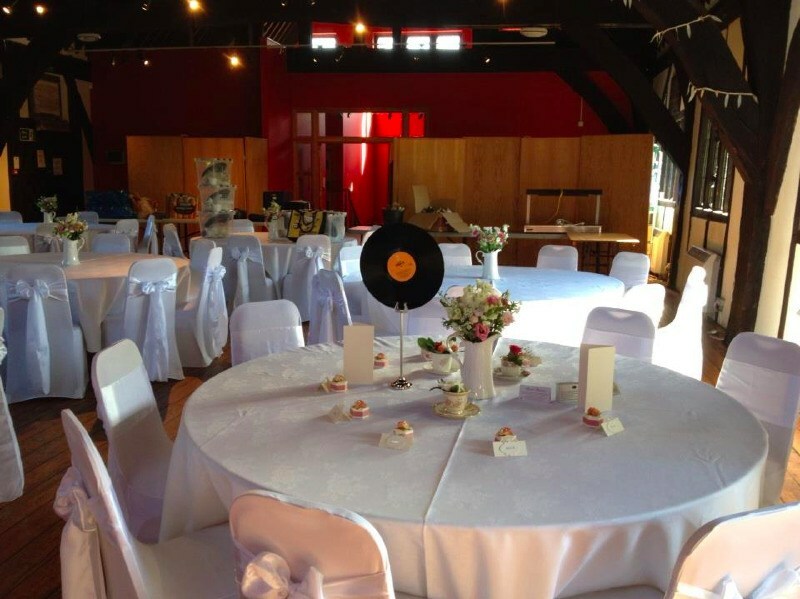 I loved the use of records instead of table names! The Hospitium is a really unique venue, the grounds are full of amazing photo opportunites and the building is just overflowing with character. This was such a wonderful wedding to be involved in! The wedding took place during the break between Christmas and New Year - always a great time for a wedding as everyone seems to be in a great mood and its so nice to have a little break from everything festive. The theme was vintage but it was so much more than that - the effect was magical. The bride knew exactly what she wanted and we met prior to the wedding to set up a table and run through how things would look, which was a great help for both me and the bride. The chairs at the Hotel du Vin complimented the theme of the wedding, so rather than cover them we provided white satin sashes with cream lace overlays. These were used on every other aisle chair for the ceremony, and for the top table during the meal. This worked really well - the florist also provided beautiful little clusters of flowers which I added to each chair and the effect was just perfect. The wedding breakfast took place in the hotel resturant (the wedding has exclusive use of the venue) and the bride used the wonderful uncovered wooden tables. We provided lace table runners to add to the vintage theme. The bride had collected the most amazing selection of candle sticks, votive holders, gorgeous little bowls, vases . . . and all kinds of other things to go on the tables. We provided a 60cm tall silver candelabra for the top table which looked fantastic! I absolutely adore the huge illuminated 'LOVE' sign! It was hired by the bride from Add Vintage who are based in Leeds, and who can also provide a range of fantastic vintage props for your big day. As well as providing our hired items, I also set out the items provided by the bride. This is a service which I'm always happy to offer for a small fee - to ensure that your tables are set out exactly how you would like them. This wedding was such fun to be involved in! I worked quite closely on the day with the 'On the Day' wedding coordinators - Helen and Sarah from 'Hels Bells'. They were very professional and did a really great job! Hotel du Vin York was a fantastic venue, the staff were professional and helpful and the hotel is beautiful. Hiring the venue on an Exclusive basis is ideal if budget allows, this wedding really took over the hotel which was wonderful!